I made my second purchase from Cigar Terminal and this time upped the ante. I went with the Conny A's and a box of Partagas D.4. These will be going in the humidor to rest them from their weary travels, but I'm certainly anxious to smoke. I received a box from April 2018, so needless to say these need a bit of time to open up. Box was sealed and both Habanos labels were intact. Can't wait to smoke one! 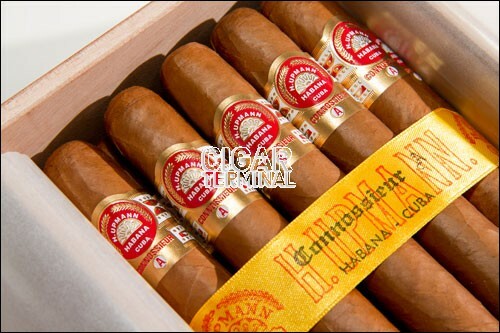 I’m a long-standing H Upmann lover. This cigar did not disappoint. Three or four in the box were tight but still smokable. I love the blend. Sampled one of these after 2 months rest and wow, absolutely amazing. Box arrived sealed in great condition with a Boveda pack. Q.5 hours of cream dominated smoking satisfaction. Highly recommend Cigar Terminal. Great Upmann flavors! Out of the box they smell of sweet tobacco. 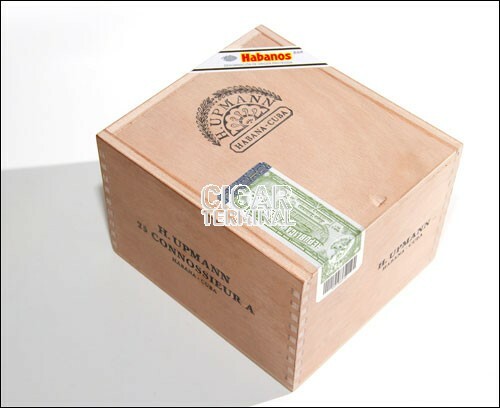 I bought this box to share with a friend, cigars taste better when shared with others! I started smoking these 2 weeks after they arrived. Creamy, tasty and so flavorful! I did have some burn issues as others have mentioned but nothing serious (and touching up is an art). My friend and I will definitely buy more! Highly recommend. Aged a year or more, if possible, I suspect they will be even better! 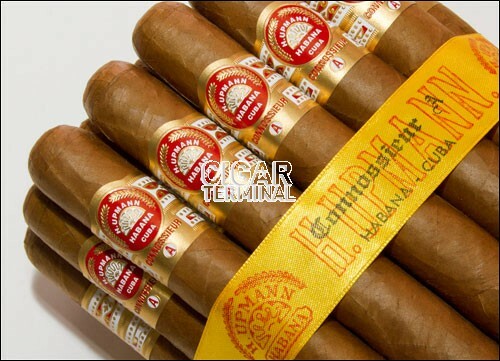 Great typical Upmann flavor. Right out of box it will lack the depth of creamy, sweet and aromatic flavor you will strive for in this Cigar. You must let this Cigar age in order to fully enjoy it's true potential. The main issue I've encountered at times is poor construction affecting burn and draw dampening the smoking experience.